Wills in Peoria, IL | Contact Brave Law Center, P.C. One of the most common questions we get at Brave Law Center, P.C. 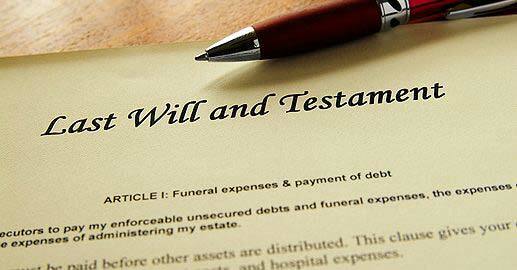 is about the timing of creating a will. For most people, any time is the perfect time to assert your wishes, even if you don’t have a lot of assets. Many people also think that they can’t afford a complex estate plan right now. However, you can still start with creating a will. The best benefit of creating a will is peace of mind, for you and your loved ones. After you create your will, you will rest easy knowing that there is a plan in place for your money, possessions, children, and any pets in the event that you die or become mentally incapacitated. A Last Will and Testament will then give your loved ones peace of mind knowing that your last wishes have been followed. If you want to start thinking about estate planning and wills in Peoria, IL, contact the trusted estate planning attorneys at Brave Law Center, P.C. No time is better than the present to start your estate plan. Call us at (309) 685-7900 to schedule your free consultation. Calling to schedule your free consultation. Making a list of your major assets. Thinking about life-sustaining medical care and what you would want/not want performed. Making a list of trustworthy people you would like to distribute your estate. Writing down any questions you have for your attorney. Contact Us About Wills in Peoria, IL Today! If you have questions about estate planning or wills in Peoria, IL, contact Brave Law Center, P.C. Call (309) 685-7900 to schedule your appointment with us now.